ABRIDGED FORM FOR CURRENT MEMBERS ONLY. Signing up as a member for the first time? Click here for the full form. Please keep us updated on these important changes in your life. Please notify us below of any new births (or other family Simchas) or deaths. 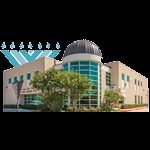 Yahrtzeits and have them listed in the Shul’s weekly announcements. All memberships include High Holiday seats. Family memberships include all minor children up to the age of 18, or children who have full-time student status. Click here for full High Holiday Schedule. Looking forward to seeing you on the High Holidays! my membership to help expand our programs and help those in need of scholarships. Age groups are determined by the oldest household member as of 9/1/18.